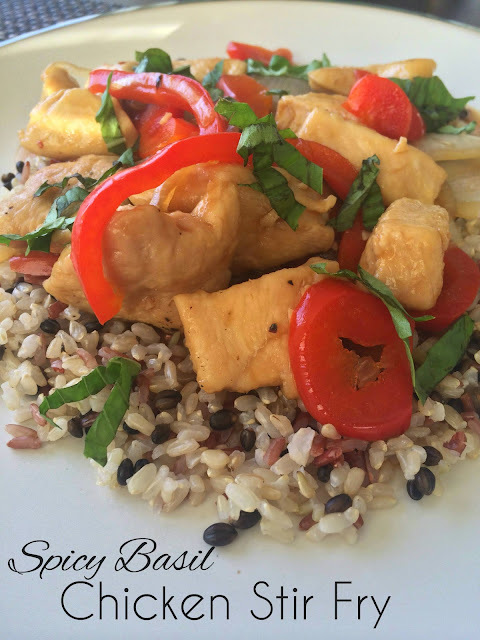 Here you go, folks -- Spicy Basil Chicken Stir Fry. I took this idea from an amazing Thai basil dish I had awhile back. I'm a sucker for anything spicy and with basil. 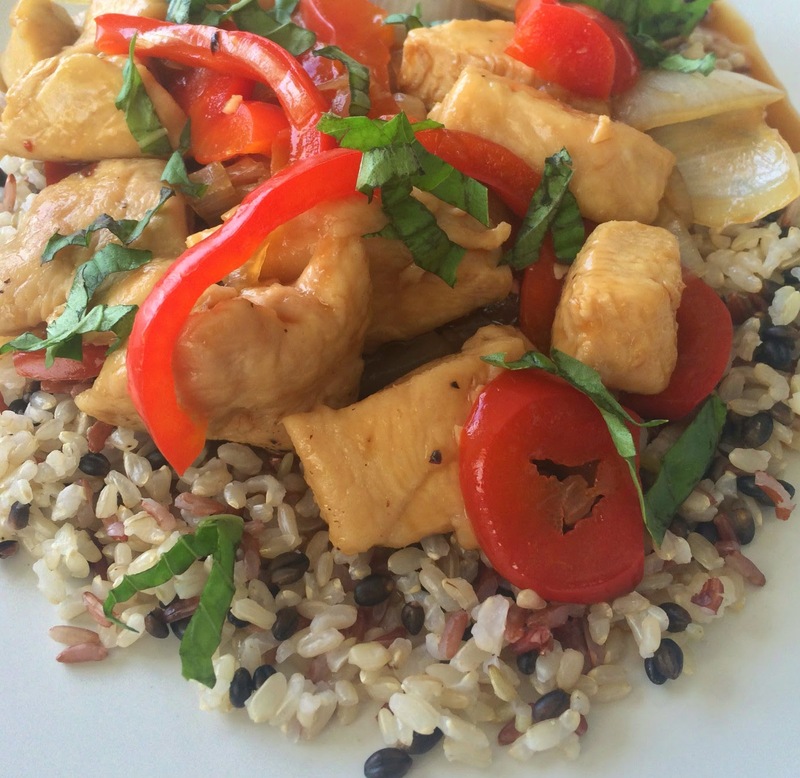 The traditional Asian flavors paired with distinctive basil does something wonderful to my tastebuds. 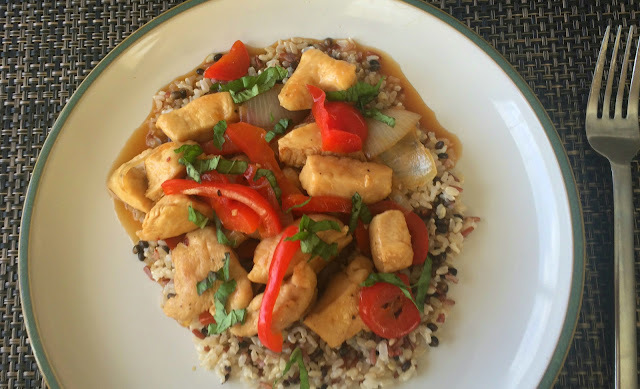 I found a great rice medley at Trader Joe's to pair with this dish. You can microwave it! How's that for easy? I used to be really intimidated to make anything Asian inspired. So many ingredients, I thought. I don't know how to stir fry, I said. But now I have several Asian dishes on my blog. If you can follow directions, you're golden. I promise. In a small bowl or liquid measuring cup, whisk together the chicken broth, soy sauce, 2 teaspoons cornstarch, vinegar, red pepper flakes and sugar until smooth. Set aside. Add the garlic, bell pepper, and onion and cook for 3-4 minutes, until the vegetables are crisp-tender. *The original recipe calls for mango. I omitted because I wanted a savory dish, but feel free to add 1 cup of chopped mango if you wish.